Mountain Studies Institute bridges the gap between citizens and the scientific community. We empowering people of all ages and occupations to use information to make decisions and take action on issues affecting their communities and surrounding landscape. Complimentary to our mission of pursuing science that people can use, our Citizen Science program aims to equip community members with the knowledge, skills and confidence to participate in enjoyable scientific research activities that increase mastery of local environmental themes while also generating data to inform sustainable community solutions. 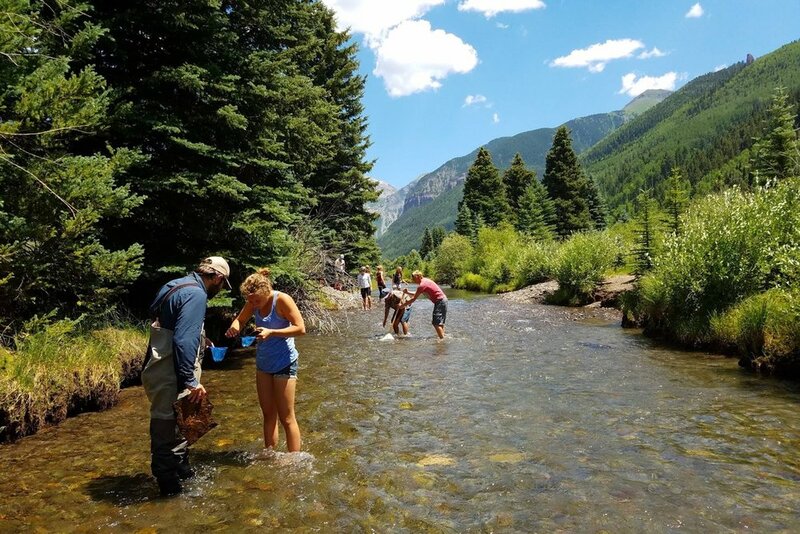 MSI is unique in its approach to promoting citizen engagement in the scientific process by offering a variety of learning opportunities that reflect the diversity of our unparalleled San Juan Mountain living classroom. We pride ourselves in being able to offer citizens of the San Juan Mountain region a wide suite of projects in which to participate. Pika live in a very specific habitat and are sensitive to rising temperatures and decreases in snowy insulation caused by climate change. Join the effort to map their habitat and presence across the Rocky Mountains. Domestic sheep are known to communicate deadly disease to bighorn sheep. The Forest Service and Colorado Parks and Wildlife are calling for citizen science observations of bighorn sheep, domestic sheep out of allotments, and especially domestic and bighorn sheep together. Learn where to go hiking for this project! Join our network of student research around water, forests, and climate. Take a field trip guided by MSI, or connect with resources to collect data on your own. Then join our spring summit in 2019! Learn more about how to join the water quality monitoring network that collects data across the united states. MSI is developing a library of simple tutorials to practice skills specific to our citizen science projects. They are meant to be used in conjunction with a field training.